A clear windscreen and side windows are essential for safe driving. 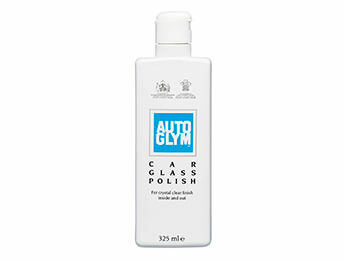 Autoglym Glass Polish contains polishing and cleaning ingredients which remove all stubborn films, both inside and out, restoring optical clarity. The sparkling clean surface eliminates wet weather smearing and improves wiper action.